The most famous Social Networking Apps Development company Zynga joins up with Yahoo! for the development of its most popular games on social networking websites and facebook called Mafia Wars and Fish Ville. These aren’t the first Zynga games to make it to Yahoo! in the partnership between the two companies, but Mafia Wars is easily the biggest. In August, Zynga counted 45.5 million Facebook subscribers for Mafia Wars, with 6.6 million in September for FishVille. Zynga has been growing out of control lately, boosted by the crazy number of subscribers to its Facebook games and the amount of money it pulls down using its “freemium” model that allows players to purchase in-game items and currency, if they choose. Video game site VG247 reports Zynga has bought up six different games studios in as many months, employs 1,300 people at 13 different studios in six countries, and is estimated be worth more than $5.51 billion. Yahoo! represents an untapped market for Zynga, while also helping to reduce the company’s reliance on Facebook. That’s not to say that Zynga and Facebook aren’t tight -- the two just put together a five-year deal that allows Zynga to integrate the use of Facebook credits into its games -- but the relationship has been strained. And Yahoo! users aren’t necessarily the same ones playing Zynga games on Facebook already, so the company benefits by expanding its player base, as well as opening up additional options for its games. What's good for Zynga is good for Yahoo! There are a lot of pros on the Yahoo! side of things as well, specifically for users of Yahoo!’s app platform. Yahoo! carries some great social games, but there are quite a few that could use some help bolstering their community involvement and general number of players. 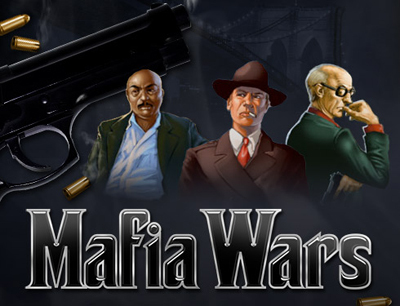 Integrating hugely popular games such as Mafia Wars could have a very beneficial spill-over effect, bringing more players to other Yahoo! apps that could use an increase in their numbers. That means more fun for all us players, and looks to be a smart move by Yahoo! This isn’t the first time Zynga has started spreading its games around, but it does seem like one of the company’s more significant steps toward putting down roots in other platforms. Several of Zynga’s games are available as Apple (AAPL) iPhone or iPad apps, including Mafia Wars and the ludicrously popular, 65 million-subscriber FarmVille. Zynga’s farming social game also has appeared on MSN (MSFT), though it didn’t last, and TechCrunch has reported that Google (GOOG) is courting Zynga’s games for its network as well. It’s probably safe to consider Mafia Wars and FishVille as being the advance scouts of a larger Zynga force making its way to Yahoo! It wouldn’t be surprising to see FarmVille show up pretty much any time, provided Mafia Wars and FishVille are successful on the platform. Such success doesn’t seem like much of a stretch -- Zynga Poker, the company’s Texas Hold’em app for Yahoo!, is pretty jumping at just about all hours of the day, and lots of other Yahoo! apps command a respectable following. Expect more from Zynga and Yahoo! in the near future, especially as both companies start to experience the benefits of the relationship: Zynga for finding a freer platform than Facebook, and Yahoo! for boosting its already popular platform with a big influx of users.